Loss of habitat is a global threat to biodiversity. Habitat-forming species in particular are shifting their distribution at local and regional scales, changing habitat aspect globally. In temperate intertidal rocky shores, this poleward shift of canopy-forming seaweeds is leading to a shift to mat- or turf-dominated communities. These changes and their consequences are poorly understood and can vary globally. Most studies, however, have focused on local and regional processes. Using rocky low intertidal algal-dominated systems, this study aims to understand the independent role of a rich understory vegetation layer formed by cespitose algae as community drivers. Moreover, the study aimed to understand whether the observed patterns can be consistent over spatial regions, thus three distinct regional zones of the North Atlantic (Eastern shores of Nova Scotia, Canada; the Poitou-Charentes coast, France; the Eastern shores of Northern Ireland, UK) were sampled as part of this study. From surveys, results showed that in the intertidal zone with low desiccation potential, canopies generally do not drive understory cespitose species richness or distribution. Cespitose algae on the other hand positively influenced richness in all regions. Community composition was also influenced by cespitose algal species, which increased the number of mobile epifauna species, while decreasing the number of encrusting epifauna species. This has wide implications: (i) understory species that are often overlooked may play a primary role as habitat formers; (ii) understory species may help maintain biodiversity in a changing world where primary species distribution is shifting. Loss of habitat is a global threat to biodiversity (Pimm and Lawton 1978; Airoldi and Beck 2007). Habitat loss can include the direct loss of foundation species (sensu Dayton 1972; Altieri and van de Koppel 2014) and habitat-formers, which ultimately leads to losses of the three-dimensional habitat complexity of many systems (Turner et al. 1999; Ellison et al. 2005; Airoldi et al. 2008). Local and global stressors are leading to changes in community of habitat-forming species (Cole et al. 2016; Dijkstra et al. 2017). In temperate intertidal habitats globally, climate-driven shifts from canopy-dominated algal communities to smaller mat- and turf-forming dominated communities are observed (Strain et al. 2014). Canopy-forming species are considered engineers and can increase local species biodiversity by means of facilitation (Bruno et al. 2003; Gouhier et al. 2011), modifying light penetration and availability, providing refuge from stressors such as desiccation, and also providing an important food source to many species (Valdivia et al. 2012; Crowe et al. 2013; Watt and Scrosati 2013; Migné et al. 2014). Following the loss of canopies, different studies observed a range of responses, with great variation observed across European shores (e.g. Bertocci et al. 2010; Bulleri et al. 2012; Crowe et al. 2013). Despite this high variability, trends showed overall negative effects on community stability and species diversity, particularly on southern shores (Valdivia et al. 2012; Bulleri et al. 2012; Crowe et al. 2013). Canopy systems are often layered and under the primary canopy other species can form shrub-like habitats, which can have ecosystem structuring effects (Bustamante et al. 2014; Ballantyne and Pickering 2015). With the primary canopies under threat from anthropogenic disturbances (Wahl et al. 2015; Wernberg et al. 2016), it is predicted that shorelines will be increasingly dominated by sub-canopy cespitose and turf forming species (Jenkins et al. 2004; Airoldi et al. 2008; Benedetti-Cecchi et al. 2012; Smith et al. 2014). The role of this secondary canopy formed by assemblages of cespitose forming algae (mostly tufty cespitose red algae and coralline species) is still poorly understood (Schaal et al. 2016). These cespitose understory species could have a positive effect on biodiversity: they form complex habitats which could aid other species attachment to the substrate, without impairing light penetration or causing whiplash effects due to their shorter form. The cespitose form can also trap sediment in rocky shores allowing detritivores to thrive, changing trophic levels of the dominant shore invertebrates (Dijkstra et al. 2017). Moreover, the great space occupancy of these species could lead to the exclusion of encrusting taxa, changing shore community dynamics (Bustamante et al. 2014). In this scenario of global changes, it is therefore essential to consider whether species which will become dominant can offset diversity losses caused by the loss of primary engineering species (Dijkstra et al. 2017; Ramus et al. 2017). The region-specific nature of most studies does not allow for global generalisation (Johnson et al. 2003; Watt and Scrosati 2013). The nature of canopy and cespitose/turf-forming species can be highly variable (Crowe et al. 2013) and follows variable definitions (Connell et al. 2014). 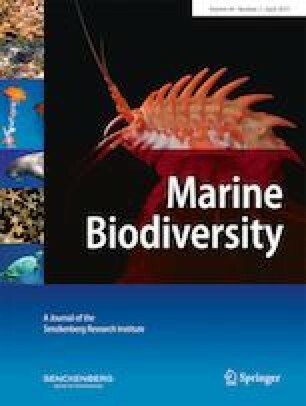 There are known differences in processes acting in rocky shores communities in the North East and North West Atlantic, with the former being dominated by grazing patterns and the latter by competition and predation, although the resulting communities are found to be of a similar nature (Jenkins et al. 2008). There is therefore a need to compare patterns across multiple regions to assess whether layering effects on biodiversity are important. The aim of this study is to understand the role of the secondary canopy formed by cespitose algae in shaping rocky shore biodiversity. The hypotheses tested within this study were that (1) understory, cespitose species occur independently of primary canopy in low stress environments and (2) established understory can increase local biodiversity independently of the primary species. These hypotheses were addressed in three distinct Atlantic regions to understand whether or not effects could be universal. The role of secondary canopies was studied from observations in Nova Scotia (Canada, NW Atlantic), Poitou-Charentes coast (France, NE Atlantic), and Northern Ireland (UK, Irish Sea) (Fig. 1). Data from Nova Scotia were from a published dataset of a large-scale mensurative study conducted to assess the effects of primary canopy on different intertidal areas (Watt and Scrosati 2013, Watt and Scrosati 2013). From the dataset, only data relative to the low intertidal zone, selected as the area containing mostly Fucus serratus and exposed during spring tides, were selected to understand effects of secondary engineers in low-stress environments (low-stress sites as defined in Watt and Scrosati 2013; Watt and Scrosati 2013). Sampling methods as described in the paper were then replicated in the other two regions, and sites were chosen in relatively similar sheltered conditions (based on personal observations, shore composition, personal communications Dr. Sauriau, Dr. O’Connor). Briefly, 25 × 25 cm quadrats were randomly sampled in the low intertidal zone at each site (Nova Scotia: N = 389, Poitou-Charentes: N = 139, Northern Ireland: N = 93). The percentage cover of primary canopy, if present, was recorded; then the primary canopy was moved aside and the percentage cover of each of the understory species was recorded together with any other species present. Four sites were sampled in Nova Scotia (Godie point, 45.6115000, − 60.8198333, Taylors head 44.786729, − 62.544669, Torbay 45.199612, − 61.365825, Unnamed site northeast of Torbay 45.1851667, − 61.3363333), two in the Poitou-Charentes (LeGrouin 46.230662, − 1.414667, Sabia 46.041986, − 1.389636) and three in Northern Ireland (Blackhead 54.766694, − 5.688425, Donaghadee 54.639762, − 5.528202, Kearney 54.389138, − 5.459597) (Fig. 1) . Cespitose understory species were defined as those algae species not forming canopies, being > 1 cm tall and having a branching form (e.g., not sheet like, like Ulva spp., Table 1). The effects of canopy on the number and percentage cover of specific understory algae species were only identified for Northern Ireland and France for consistency of data collection and thus species present in Nova Scotia have been only listed (Table 1). Overall percentage cover of canopy and understorey was identified for all regions (Fig. 2a, b). Canopy effects on total number of understorey algae were analysed using a linear mixed model (package lme4), with canopy cover (fixed factor, continuous variable), region (fixed factor, 2 levels) and their interaction, and site (random factor nested within region, 5 levels). Overall p values of the fixed and random factor respectively were calculated with the functions anova (type III ANOVA using Sattherthwaite approximation for degrees of freedom) and rand in the package lmerTest. Canopy effects on understory algae species were analysed separately in each region using constrained ordination analysis (rda in package vegan). For each quadrat, total faunal species richness was determined as the total number of faunal taxa (identified to lowest possible taxonomic level) found therein. To understand how cover of canopy and cespitose algae affected associated taxon composition, fauna was separated into encrusting epifauna, mobile epifauna and infauna taxa (Table 2). Infauna taxa (Table 2) were identified as those species which normally exhibit burrowing behavior, and, despite the lack of conspicuous sediment at our sites, were observed associated with the seaweeds. For overall species richness and encrusting epifauna species, general linear models were used, while for mobile epifauna and infauna richness, generalised linear models with Poisson distribution were used. The initial model included percentage cover of cespitose algae, percentage cover of canopy, region, and all possible interactions, and was then reduced to an optimal model using backwards selection. The model fit was tested by testing the normality of residuals using Shapiro-test and by visualising fitted values vs residuals. A Type III Anova table was produced following the linear model to obtain overall F values and p values. Post hoc based on Tukey adjusted differences in estimated marginal means were used when region had significant effects. There was an interaction between canopy cover and region on total number of understorey algae species, with lower richness observed in Northern Ireland with increasing canopy cover (F1,209 = 8.6, p < 0.01, Fig. 3). Canopy cover also had an overall effect (F1,209 = 4.7, p < 0.05); however, there was not an overall effect of region (p > 0.05). There were no effects of canopy cover on understory community structure (Table 1) in France (0.8% explained, p > 0.05) or Northern Ireland (3% variance explained, p > 0.05). For the associated faunal community, the best model included all single terms and the interaction between cespitose and region. The interaction between cespitose and region (F2,615 = 3.68, p < 0.05, Fig. 3a) was due to France having a stronger slope. Region has a significant effect on its own on richness (F2615 = 88.7, p < 0.0001, Fig. 4c). Post hoc shows Canada had significantly higher richness than both France (p < 0.001) and Ireland (p < 0.001), and France had significantly higher richness than Ireland (p < 0.001) (Fig. 4c). Cespitose algae cover on its own also had a positive effect on richness (F1,615 = 54.34, p < 0.0001, Fig. 4a), and canopy cover also influenced richness (F1,615 = 8, p < 0.001, Fig. 4b). For the encrusting epifauna species, the final model included all single terms and the interaction between region and cespitose algae and region and canopy algae. There was a significant interaction between region and cespitose algae (F2615 = 13.9, p < 0.0001, Fig. 5a) and between region and canopy algae (F2615 = 4.2, p < 0.05, Fig. 5b). There was a significant effect of cespitose algae (F2,615 = 22.7, p < 0.0001, Fig. 5a) and region (F2,615 = 4.8, p < 0.001, Fig. 5c); however, there was no effect of canopy (p > 0.05, Fig. 5b). For number of mobile epifauna species, the final model included cespitose algae, region, and their interaction. The interaction was significant (χ2 = 11.2, p < 0.01); there was a significant effect of both cespitose algae (χ2 = 10.2, p < 0.001) and region (χ2 = 80.1, p < 0.0001, Fig. 5c). For infauna species, the final model included only single terms; however, there was only a significant effect of region (χ2 = 12.7, p < 0.01, Fig. 5d). The results of this study showed that (1) understory species occur independently of primary canopy in low stress environments and (2) understory can enhance biodiversity and drive community composition independently of the primary species. The occurrence of a rich understory species community in areas without primary canopy further highlights their potential role as engineers and drivers of changes in local faunal community. One possible reason for the slight negative effect of high canopy cover on the understory richness in Northern Ireland is that the light-barrier effect of canopy is a negative impact when light is an already limiting factor, such as in high latitude areas. Understory species relying on light for photosynthesis will be excessively smothered by lack of light, and their performance will be limited (Scrosati and Dewreede 1998; Schiel and Lilley 2007). Other putative reasons include increased sedimentation, whiplash causing changes in propagule delivery, and changes in water motion (Beermann et al. 2013). However, there was only a negative effect on overall species richness under canopy and not on species composition, suggesting all species are affected equally. The layer of understory cespitose species was also found to have positive effects on faunal richness, which were independent of the primary canopy cover. Primary canopy had, by itself, only a weak effect on richness. Cespitose species have a complex 3D shape providing a high space-size heterogeneity and multitude of refuges for other species to exploit (Pierre and Kovalenko 2014). Habitat shape can be an important driver of faunal richness (Kelaher and Carlos Castilla 2005; Christie et al. 2007), and cespitose species can form a variety of different shapes providing a highly heterogeneous and complex habitat. These results suggest that they act as autogenic engineers, while primary canopies act mostly as allogenic engineers ameliorating stress, and thus having greater positive effects in stressful zones (Watt and Scrosati 2013). Effects of cespitose species on community composition were found, and these were independent from those of primary species, confirming the independent functional role of the secondary vegetation layer in structuring communities in these low-stress, low intertidal areas (Watt and Scrosati 2013; Bustamante et al. 2014). In the French region of the Poitou-Charentes, a stronger relationship between cespitose species and faunal richness was found. The positive effects on faunal richness in the Poitou-Charentes region were particularly true for both mobile epifauna richness and encrusting epifauna richness. One reason for this could be identified in the overall greater cespitose species richness found in this region, as more algal species should increase the richness of associated species by increasing spatial heterogeneity of the habitat and niche availability (Matias et al. 2007; Best et al. 2014; Schaal et al. 2016). However, another explanation for this could be the stronger wave action (personal observation) present at one of the sites in this region (Sabia, ile d’Oleron), suggesting that habitat formation of turf species can be even more important in exposed, more stressful, areas where organisms may have a greater need for attachment (Burrows 2012; Norderhaug et al. 2012); however, this will need further studies. As climates are changing, predictions show increased storminess and primary canopy of fucoids and laminaries shifting pole-wards (Díez et al. 2012; Smale et al. 2013); thus, it should be a priority of future studies to empirically test how understory cespitose species drive biodiversity under increased wave exposure to better understand the way stress could drive this observed pattern. Cespitose species cover also had a mild positive effect on encrusting species in both Northern Ireland and Poitou-Charentes, while they had a negative effect on encrusting species in Nova Scotia. Hypotheses on this regional inconsistency span from differences in shore exposure, and amount of sedimentation to species composition of the cespitose species community (Schaal et al. 2016). If cespitose species have a turf shape occupying the totality of the substratum, they will in turn exclude other encrusting species by competition for primary substratum. Equally, if they have a tall thallus, they may cause excessive shading (Clark et al. 2004). However, if the species produce antifouling components they will impede encrusting fauna from attaching to the algae directly (Dworjanyn et al. 2006). A mixture of cespitose species with different three-dimensional structures should therefore be the best option to ensure a great diversity of associated species (Schaal et al. 2016). This preliminary study identified that the composition of understorey algal species, thus its complexity, is independent of primary canopy cover. This is a novel result which should drive further research on the effects of understory species complexity (Pierre and Kovalenko 2014) as secondary engineers (Angelini and Silliman 2014) and drivers of biodiversity. It has already been shown that with losses of native primary engineers their replacement with invasive species can contribute to the maintenance of biodiversity (Ramus et al. 2017): this should be further investigated globally, using models of predicted shifts to experimentally assess potential community level shifts. This was an observational study that showed similar patterns in three distinct regions of the North Atlantic. A manipulative approach with removals and addition of turf/cespitose forming species should follow to answer questions on driving mechanisms (Underwood et al. 2000). I am thankful to Prof. Ricardo Scrosati for providing me with data for the Nova Scotia region and to Dr. Pierre-Guy Sariau for the help with site choice and fieldwork help in the Poitou-Charentes region.